At Flower Allie, you will be able to find some of the most delicate and beautiful arrangements to add to the décor of your wedding day. Whether you are looking to surround yourself with petals and flowers as you tie the knot or are looking to simply accent the area with a few blooms, this Santa Ana florist can accommodate. This shop has an entire division dedicated to floral design for weddings in particular. 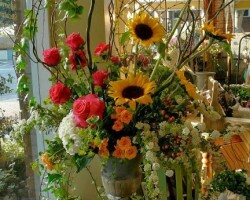 You will not feel stressed knowing the flowers are being taken care of by an experienced team. Every couple wants to have a beautiful wedding day that is surrounded by family and friends as well as beautiful decoration and possibly flowers. 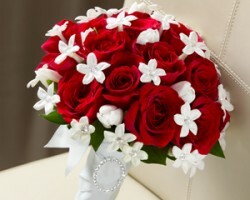 If floral design is something you would like to have on your big day then you should work with Florals by Jenny. This expert works with clients to come up with the most unique and beautiful arrangements for the ceremony, the reception and the bouquet. 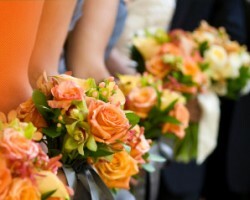 Your wedding flowers will be fresh and flawlessly designed when you hire this company. 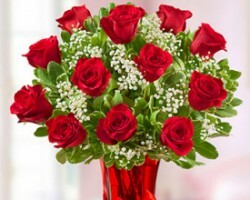 Reviews of Blooming Flowers & Gifts make it clear that the company is always aiming for total customer satisfaction. With countless satisfied customers, you are sure to have some of the most colorful and fresh flowers on your big day too. The floral designers at this shop will work with California couples to learn about their venue and how they would like to use the flowers in their decoration. Then they will find the most affordable option that meets those guidelines and produce flawless arrangements. Cat Tuong Flowers & Decorations offers flowers delivery in Santa Ana as well as a wide selection of flowers and arrangements for weddings and special occasions. This shop works to make sure that everything you need is taken care of, which is why they also offer tables and drapery. They also want you to have the most romantic occasion, which is why they have some of the most beautiful and vibrant flowers for you to choose from too. Working with this company always results in having the most beautiful day. 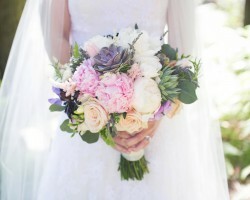 There are plenty of local florists in Santa Ana, CA to choose from but only Elegant Hive exclusively offers one-of-a-kind wedding arrangements. You will never go to other flower shops ever again once you have discovered this hidden gem. With over 30 years of experience, the master florist works with couples to make their wedding vision a reality. From the color scheme to the outside materials that are to be used, the couple will be in control with the guidance of an expert.